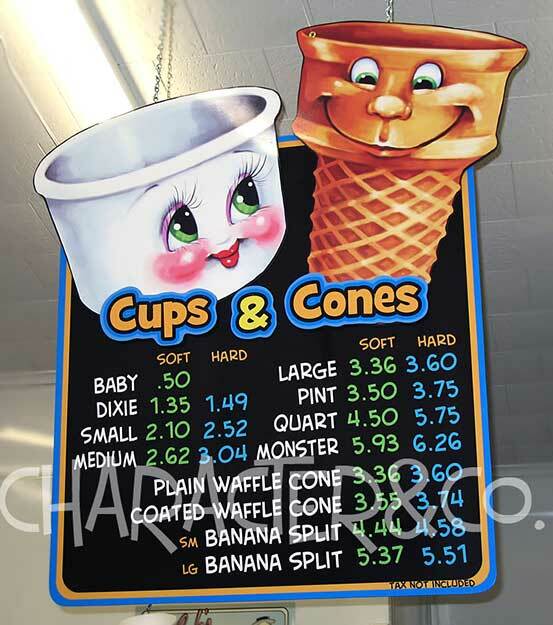 Looking for the absolute BEST menu board design ideas for your business? You SHOULD be! 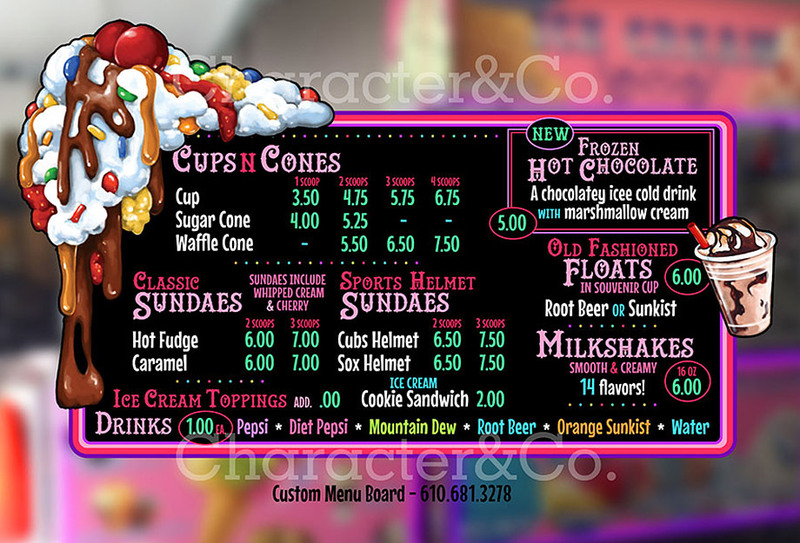 All the advertising, signage, and interior decor in the world will FALL FLAT if your point of purchase menu boards fail. You are losing money every single day with boring, hard-to-read menu boards. 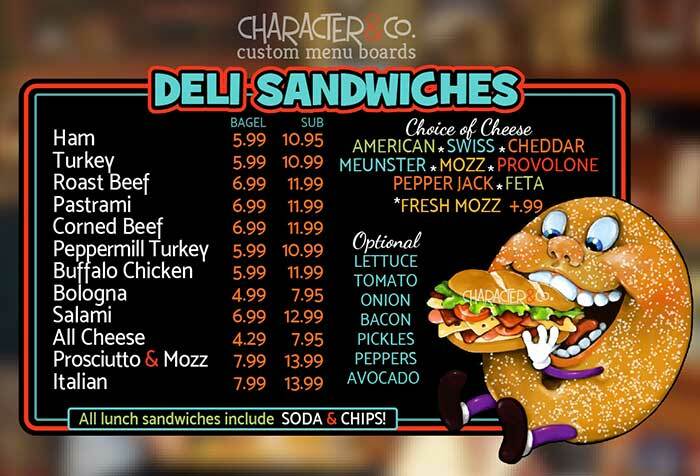 You’ll never really know the full potential of your business with poorly designed wall menu boards. It’s crazy how common it is for business owners to invest many thousands of dollars and countless hours into their business and then cheap out on their menu board system. It’s like making a 4-course gourmet meal and tossing it in a blender just before serving. 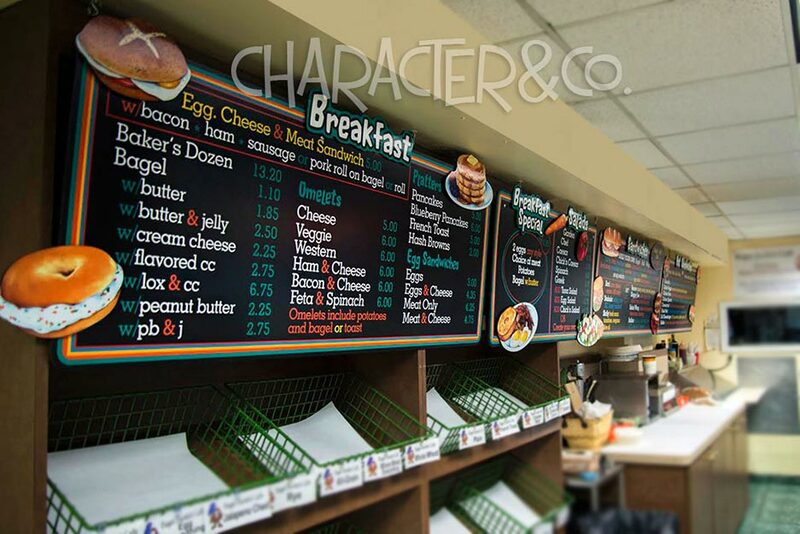 Character&Co menu boards get much more attention than digital menus – with none of the technical problems. Plus, they add far more personality than digital menu boards (which generally end up being ignored, not to mention the technical problems). 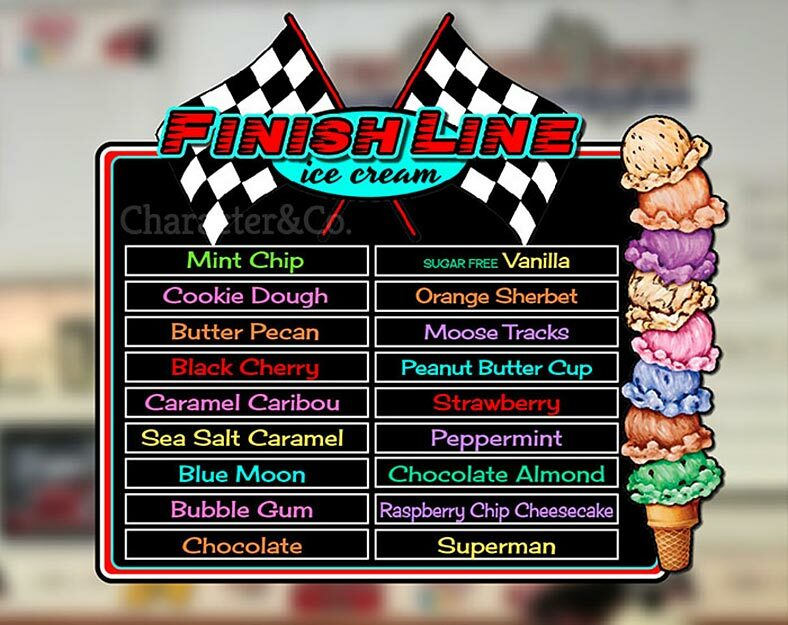 We’ve even had customers swap out their ‘new, modern’ corporate style digital menus in favor of our handcrafted ones. 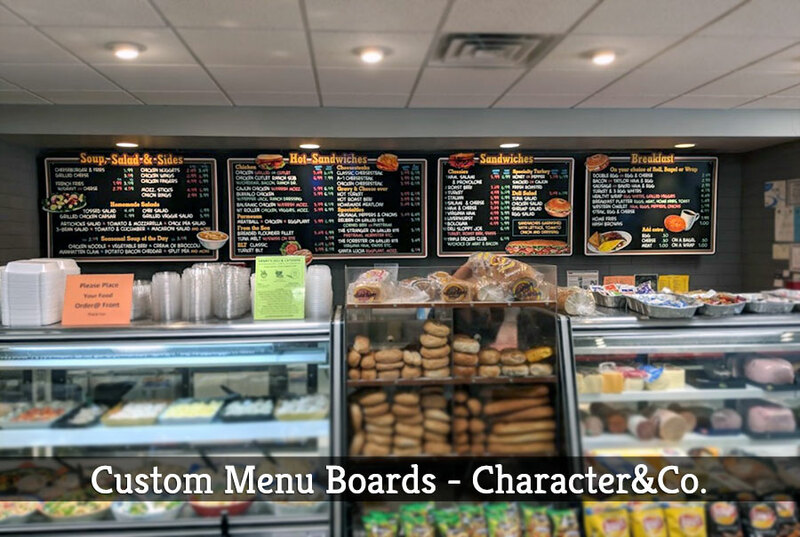 Our custom menu boards are a perfect blending of form and function. Beauty and brains. They are CUSTOM MADE THE WAY YOU WANT THEM, GORGEOUS, UNIQUE, CHANGEABLE, CLEANABLE…. And they will make a lot more sales. 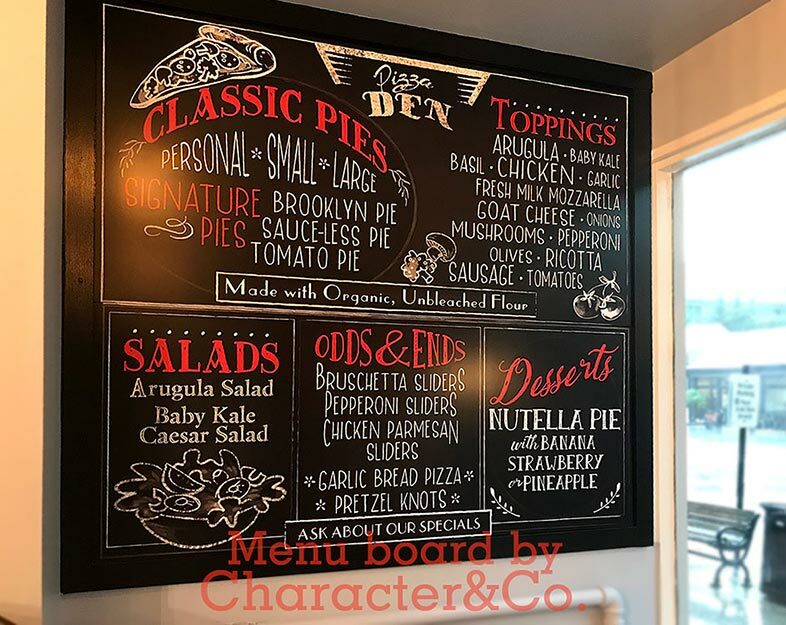 Your menu boards should be UNIQUE and APPETIZING. Character&Co. 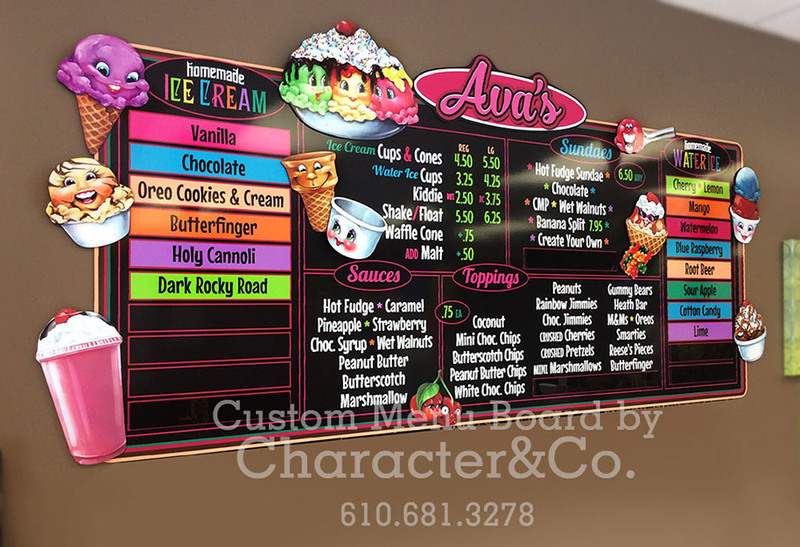 custom designed menu boards will be show-stopping focal points in your business. You won’t look like every other cookie cutter business in town. 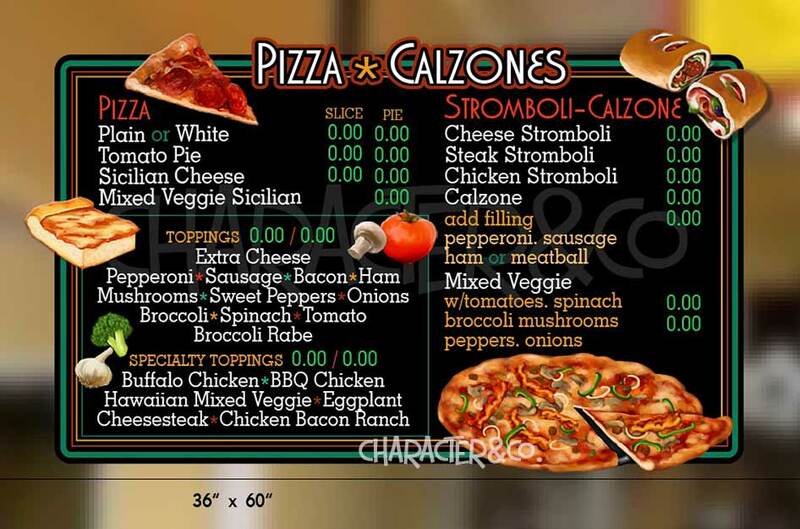 Your business won’t have that cold, corporate feel that digital menus produce. Your menus won’t look cheap and predictable. Your business will have artistic charm and vibrancy that sets you apart. 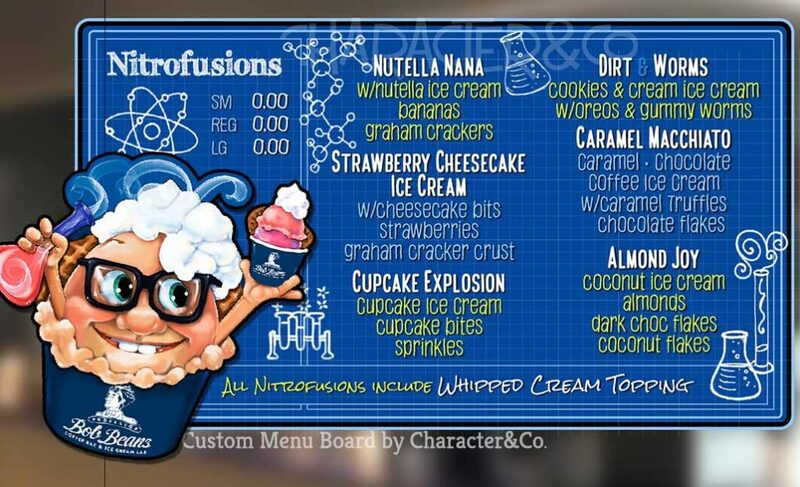 Want an FASTER (and more BUDGET FRIENDLY way) to transform the menu boards you already have? Click here. Our process is super easy, relaxed and friendly. Maybe you’re not exactly sure how you want them to look. Not a problem! You’ll work one on one with a talented and experienced designer with nearly 30 years expertise. We’ll give you options and welcome suggestions. The designs will be superimposed onto your location photos so that you see how the boards will look when installed. You’ll get the time and personal attention you need to feel comfortable. Character&Co is a small company and you’ll work directly with the artist. There is no pressure. You’ll send us your menu and leave the rest to us. We can design menus to suit YOUR taste and style. Our customers have often said that our premium menu boards were the best investment in their business that they had made. And 97% of those that open additional locations, use Character&Co. again. We have been making one-of-a-kind menu boards for 28 years. 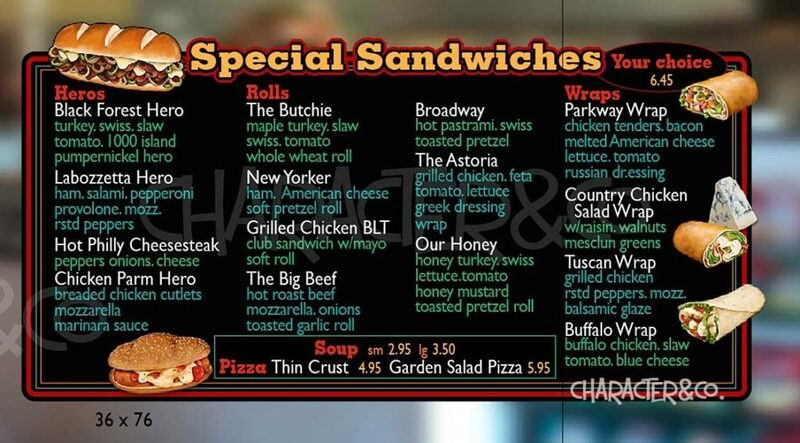 We have a reputation in the Northeast as THE #1 Custom Menu Board design company. We’ve been witness to the incredible sales transformation that they bring to a business. We are happy to offer a long list of references should you be interested in speaking with our past customers and getting their opinion. As a business owner, you’ve worked hard. You’ve taken risks and sacrificed much. There is a lot at stake. Don’t let your business fail because your menu boards are not doing what they are supposed to do. They should be more like skilled sales reps than technical manuals. Make sure they do their job! You cannot AFFORD to settle for subpar menu boards any longer. Business owners have told us sales go up 30-44% within the first month after hanging their Character&Co. menu boards. Items start selling that had been stagnant and the line moves along much faster. Nothing but compliments, compliments and more compliments are coming from everyone…they almost didn’t notice the slight price increases that we made. We work with any kind of business. We have worked with ALL SORTS OF BUSINESSES from small mom & pops, to hospitals, schools, and large supermarket chains. 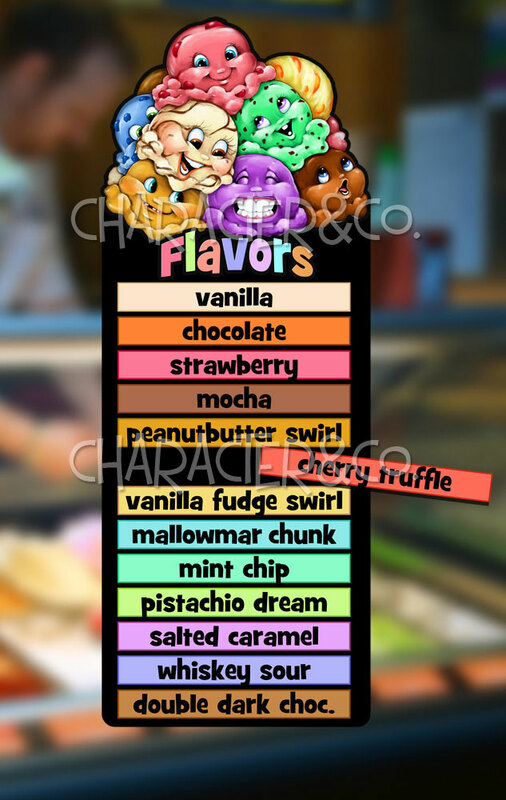 We work with delis, bakeries, bagel shops, pizzerias, ice cream parlors, candy stores, food trucks…. 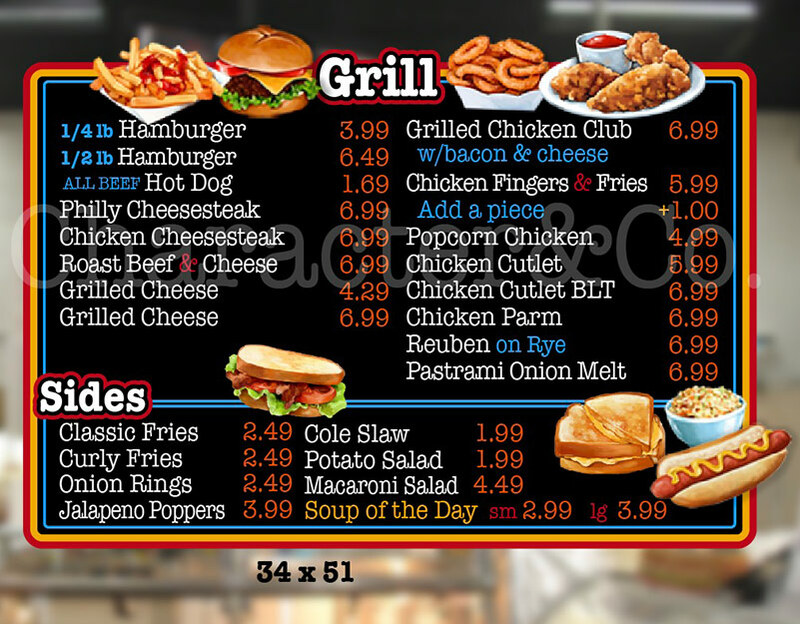 These are typical menu boards….and they wonder why their business is struggling!